 Born in Iran and raised in Canada, Tina Hassannia is a freelance journalist who specializes in film, TV, culture, and psychology. She’s a regular panelist on CBC Radio’s Q, the author of Asghar Farhadi: Life and Cinema, and was the Executive Editor of Movie Mezzanine. A member of the Toronto Film Critics Association, Tina reviews films for National Post and has written for a variety of publications, including The Atlantic, The Globe and Mail, Roger Ebert, Variety, The Village Voice, CBC, and VICE. In her spare time, Tina enjoys activities that let her escape the information overload of the digital era: reading books in print, yoga, meditation, and slowly overcoming her fear of water. An appreciation of the underappreciated Elaine May. Celebrating 30 years of Star Trek: The Next Generation. Reflections on Knoxville’s Big Ears Festival, Jonathan Demme, and experimental cinema. Another Way of Being a Woman: My Girl Friday. A Star Is Role-Played: How Dungeon Master Spencer Crittenden Became the Lord of Harmonquest. Celebrating the cinema of Kelly Reichardt. On Werner Herzog’s Lo and Behold, and Movies about Technology. In Elevator to the Gallows, Miles and Malle Found their Grooves. Dungeons & Dragons: A source of female empowerment. Why motherhood is not for everyone and shouldn’t have to be. Whit Stillman’s Barcelona: What It Means To Be A Good Person. A feature on why there aren’t more women-directed films available on home video. Daring to be different in Unit B at the NFB. The women in Abbas Kiarostami’s cinema. Animal Urges and Existential Hellholes: Joel Potrykus’ Buzzard and Beyond. Backstreet’s Back: A Critic’s Story.